A while ago I posted about scale addiction and how often you should weigh yourself. It was my opinion that while losing once a week, stark naked, before breakfast, after pee on Wednesdays was my preference, and that while maintaining, daily was a good idea. Today I'm going to take it further and explain how to deal with the number you see staring back at you. Firstly if you're trying to lose weight it's important before you step onto the scale, to ask yourself how you're doing. After all, what does the scale know? How you're doing depends on how you're living, and the scale frankly knows nothing about that. If you're happy with how you've been living and feel that you're making the healthiest choices you can enjoy, even if the scale goes up, it shouldn't take away your pride in your accomplishments. So once you've decided how you're doing, next you step onto the scale. Looking at the number, you've got to remember a bunch of stuff. 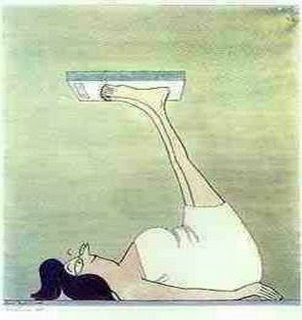 You've got to remember that scales measure a lot of extra stuff. Clothing (if you're wearing any), constipation (can weigh up to two pounds), water retention (time of the month, after a salty meal, from sore muscles) and it doesn't know if there have been great reasons to have Calories - celebratory and comfort reasons that definitely call for indulgences. Ok, now you're looking at the number. If you're happy with it step down and you're done. 1. Am I doing something about it? 2. Do I know what I'm doing? If the answers to those questions are "Yes", then there's nothing to worry about, even if the number's not doing what you want. Remember there is the law of averages at play too meaning that some weeks you'll lose far more than you'd expect and some weeks far less and that at the end of the day, doing the best you enjoy, not the best you can tolerate, is truly the best you can do sustainably. Going back to that question number 2. What does knowing what you're doing mean? Well to me it means knowing how many Calories you're eating, otherwise it'd be like getting upset at your Visa bill despite having gone shopping without looking at price tags. Bottom line, you may not love the number you see staring back at you, it may be distressing to you, but at the end of the day, if you're doing something about it, and you know what you're doing, you're doing great.